This is part-tip, part-adventures in code. I found out recently that it is possible to comment out multiple lines of code in Igor and thought I’d put this tip up here. In each computer language there is the ability to comment out at least one line of code. In Igor this is “//”, which comments out the whole line, but no more. This is the same as in ImageJ macro language. Now, to comment out whole sections in FIJI/ImageJ is easy. Inserting “/*” where you want the comment to start, and then “*/” where it ends, multiple lines later. I didn’t think this syntax was available in Igor, and it isn’t really. I was manually adding “//” for each line I wanted to remove, which was annoying. It turns out that you can use Edit > Commentize to add “//” to the start of all selected lines. The keyboard shortcut in IP7 is Cmd-/. You can reverse the process with Edit > Decommentize or Cmd-\. There is actually another way. Igor can conditionally compile code. This is useful if for example you write for Igor 7 and Igor 6. You can get compilation of IP7 commands only if the user is running IP7 for example. This same logic can be used to comment out code as follows. The condition if 0 is never satisfied, so the code does not compile. The equivalent statement for IP7-specific compilation, is “#if igorversion()>=7”. So there you have it, two ways to comment out code in Igor. These tips were from IgorExchange. If you want to read more about commenting in different languages and the origins of comments, read here. This post follows on from “Getting Started“. In the lab we use IgorPRO for pretty much everything. We have many analysis routines that run in Igor, we have scripts for processing microscope metadata etc, and we use it for generating all figures for our papers. Even so, people in the lab engage with it to varying extents. The main battle is that the use of Excel is pretty ubiquitous. I am currently working on getting more people in the lab started with using Igor. I’ve found that everyone is keen to learn. The approach so far has been workshops to go through the basics. This post accompanies the first workshop, which is coupled to the first few pages of the Manual. If you’re interested in using Igor read on… otherwise you can skip to the part where I explain why I don’t want people in the lab to use Excel. IgorPro is very powerful and the learning curve is steep, but the investment is worth it. These are some of the things that Igor can do: Publication-quality graphics, High-speed data display, Ability to handle large data sets, Curve-fitting, Fourier transforms, smoothing, statistics, and other data analysis, Waveform arithmetic, Matrix math, Image display and processing, Combination graphical and command-line user interface, Automation and data processing via a built-in programming environment, Extensibility through modules written in the C and C++ languages. You can even play games in it! The first thing to learn is about the objects in the Igor environment and how they work.There are four basic objects that all Igor users will encounter straight away. All data is stored as waveforms (or waves for short). Waves can be displayed in graphs or tables. Graphs and tables can be placed in a Layout. This is basically how you make a figure. The next things to check out are the command window (which displays the history), the data browser and the procedure window. Tables are not spreadsheets! Most important thing to understand. Tables are just a way of displaying a wave. They may look like a spreadsheet, but they are not. Spaces. Igor can handle spaces in names of objects, but IMO are best avoided. Logical naming and logical thought – beginners struggle with this and it’s difficult to get this right when you are working on a project, but consistent naming of objects makes life easier. Programming versus not programming – you can get a long way without programming but at some point it will be necessary and it will save you a lot of time. Pretty soon, you will go beyond the four basic objects and encounter other things. These include: Numeric and string variables, Data folders, Notebooks, Control panels, 3D plots – a.k.a. gizmo, Procedures. Why don’t we use Excel? Excel can’t make high quality graphics for publication. We do that in Igor. So any effort in Excel is a waste of time. Too easy for mistakes to be introduced. Not auditable. Tough/impossible to find mistakes. Igor has a history window that allows us to see what has happened. Most people don’t know how to use it properly. Not good for biological data – Transcription factor Oct4 gets converted to a date. Limited to 1048576 rows and 16384 columns. Related: useful link describing some spreadsheet crimes of data entry. Excel is useful for quick calculations and for preparing simple charts to show at lab meeting. Same way that Powerpoint is OK to do rough figures for lab meeting. We do use Excel for Tracking Tables, Databases(!) etc. Writing formulae in Excel is straightforward, and the first thing you will find is that to achieve the same thing in Igor is more complicated. For example, working out the mean for each row in an array (a1:y20) in Excel would mean typing =AVERAGE(A1:y1) in cell z1 and copying this cell down to z20. Done. In Igor there are several ways to do this, which itself can be unnerving. One way is to use the Waves Average panel. You need to know how this works to get it to do what you want. But before you turn back, thinking I’ll just do this in Excel and then import it… imagine you now want to subtract a baseline value from the data, scale it and then average. Imagine that your data are sampled at different intervals. How would you do that? Dealing with those simple cases in Excel is difficult-to-impossible. In Igor, it’s straightforward. Igor Help – fantastic resource containing the manual and more. Access via Help or by typing ShowHelpTopic “thing I want to search for”. Igor Manual – This PDF is available online or in Applications/Igor Pro/Manual. This used to be a distributed as a hard copy… it is now ~3000 pages. Guided Tour of IgorPro – this is a great way to start and will form the basis of the workshops. Demos – Igor comes packed with Demos for most things from simple to advanced applications. IgorExchange – Lots of code snippets and a forum to ask for advice or search for past answers. Igor Tips – I’ve honestly never used these, you can turn on tips in Igor which reveal help on mouse over. Igor mailing list – topics discussed here are pretty advanced. Introduction to IgorPRO from Payam Minoofar is good. A faster start to learning to program that reading the manual. Something that has driven me nuts for a while is the bug in FIJI/ImageJ when making montages of image stacks. This post is about a solution to this problem. You have a stack of images and you want to array them in m rows by n columns. This is useful for showing a gallery of each frame in a movie or to separate the channels in a multichannel image. What’s the bug/feature in ImageJ? If you select Image>Stacks>Make Montage… you can specify how you want to layout your montage. You can specify a “border” for this. Let’s say we have a stack of 12 images that are 300 x 300 pixels. Let’s arrange them into 3 rows and 4 columns with 0 border. So far so good. 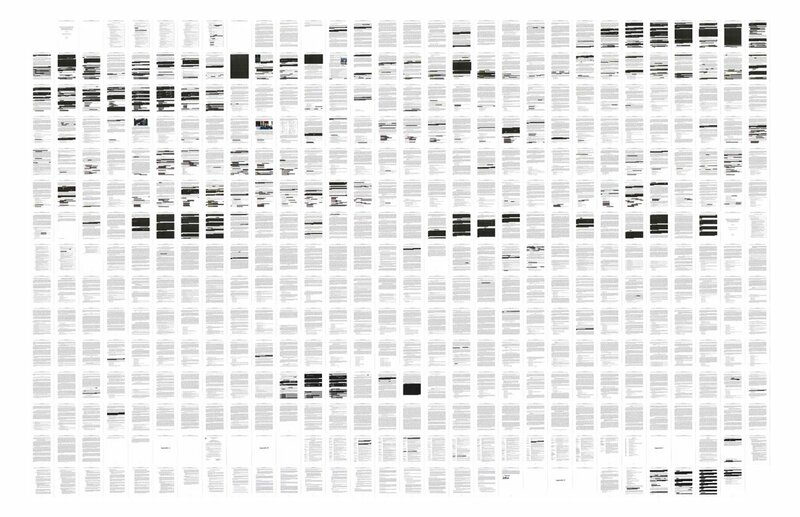 We have an image that is 1200 x 900. But it looks a bit rubbish, we need some grouting (white pixel space between the images). We don’t need a border, but let’s ignore that for the moment. 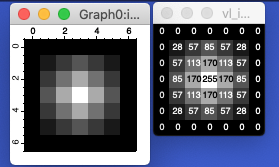 So the only way to do this in ImageJ is to specify a border of 8 pixels. Looks a lot better. Ok there’s a border around the outside, which is no use, but it looks good. But wait a minute! Check out the size of the image (1204 x 904). This is only 4 pixels bigger in x and y, yet we added all that grouting, what’s going on? The montage is not pixel perfect. So the first image is not 300 x 300 any more. It is 288 x 288. Hmmm, maybe we can live with losing some data… but what’s this? The next image in the row is not even square! It’s 292 x 288. How much this annoys you will depend on how much you like things being correct… The way I see it, this is science, if we don’t look after the details, who will? If I start with 300 x 300 images, it’s not too much to ask to end up with 300 x 300 images, is it? I needed to fix this. I searched for a while for a solution. It had clearly bothered other people in the past, but I guess people just found their own workaround. So for a multichannel image, where the grayscale images are arrayed next to the merge, I wrote something in ImageJ to handle this. These macros are available here. There is a macro for doing the separation and arraying. Then there is a macro to combine these into a bigger figure. For the exact case described above, where large stacks need to be tiled out into and m x n array, I have to admit I struggled to write something for ImageJ and instead wrote something for IgorPRO. Specifying 3 rows, 4 columns and a grout of 8 pixels gives the correct TIFF 1224 x 916, with each frame showing in full and square. The code is available here, it works for 8 bit greyscale and RGB images. I might update the code at some point to make sure it can handle all data types and to allow labelling and adding of a scale bar etc. The post title is taken from “Everything In Its Right Place” by Radiohead from album Kid A. More on the theme of “The Digital Cell“: using quantitative, computational approaches in cell biology. Find something that you need to automate and get going! I make no claim to be a computer wizard. My first taste of programming was the same as anyone who went to school in the UK in the 1980s: BBC Basic. Although my programming only went as far as copying a few examples from the book (right), this experience definitely reduced the “fear of the command line”. My next encounter with coding was to learn HTML when I was an undergraduate. It was not until I was a postdoc that I realised that I needed to write scripts in order get computers to do what I wanted them to do for my research. I work in cell biology. My work involves a lot of microscopy. From the start, I used computer-based methods to quantify images. My first paper mentions quantifying images, but it wasn’t until I was a PhD student that I first used NIH Image (as it was called then) to extract quantitative information from confocal micrographs. I was also introduced to IgorPRO (version 3!) as a PhD student, but did no programming. That came later. As a postdoc, we used Scanalytics’ IPLab and Igor (as well as a bit of ImageJ as it had become). IPLab had an easy scripting language and it was in this program that I learned to write macros for analysis. At this time there were people in the lab who were writing software in IgorPro and MATLAB. While I didn’t pick up programming in IgorPRO or MATLAB then, it made me realise what was possible. When I started my own group I discovered that IPLab had been acquired by BD Biosciences and then stripped out. I had hundreds of useless scripts and needed a new solution. ImageJ had improved enormously by this time and so this became our default image analysis program. The first data analysis package I bought was IgorPro (version 6) and I have stuck with it since then. In a future post, I will probably return to whether or not this was a good path. Around 2009, I was still unable to program properly. I needed a macro for baseline subtraction – something really simple – and realised I didn’t know how to do it. We didn’t have just one or two traces to modify, we had hundreds. This was simply not possible by hand. It was this situation that made me realise I needed to learn to program. …having a concrete problem that is impossible to crack any other way is the best motivator for learning to program. This might seem obvious, but having a concrete problem that is impossible to crack any other way is the best motivator for learning to program. I know many people who have decided they “want to learn to code” or they are “going to learn to use R”. This approach rarely works. Sitting down and learning this stuff without sufficient motivation is really tough. So I would advise someone wanting to learn programming to find something that needs automation and just get going. Just get something to work! Help – ask for help. Online forums are great, experts love showing off their knowledge. If you have local expertise, even better! Once you have written something (and it works)… congratulations, you are a computer programmer! Seriously, that is all there is to it. OK, it’s a long way to being a good programmer or even a competent one, but you have made a start. Like Obi Wan Kenobi says: you’ve taken your first step into a larger world. So how do you get started with an environment like IgorPro? This will be the topic for next time.